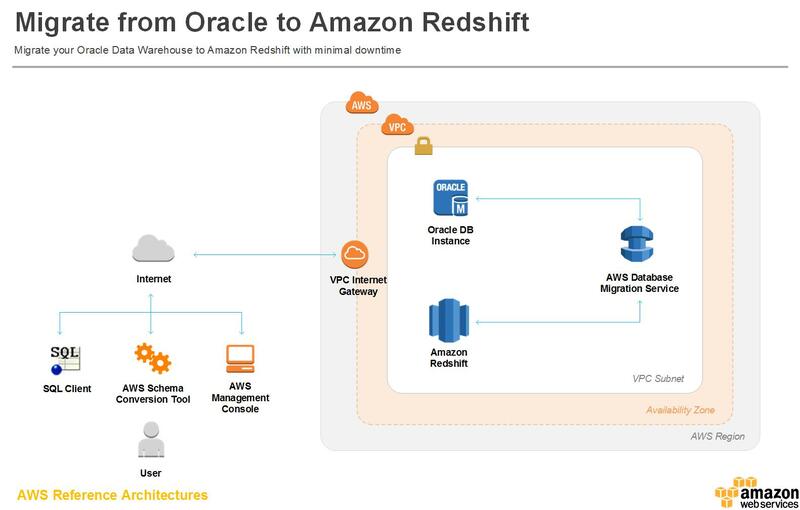 Migrating your Oracle data warehouse to Amazon Redshift can substantially improve query and data load performance, increase scalability, and save costs. Amazon Redshift is a fast, fully managed, petabyte-scale data warehouse that makes it simple and cost-effective to analyze all your data using your existing business intelligence tools. 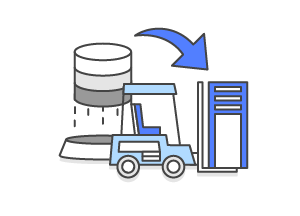 AWS Database Migration Service and AWS Schema Conversion Tool make it easier to migrate your schema and data from your Oracle data warehouse, both on-premises and on AWS, to Amazon Redshift without disruption to the applications that rely on the data source. Convert the data warehouse schema and code from a sample Oracle data warehouse running on Amazon Relational Database Service (Amazon RDS) using the AWS Schema Conversion Tool (AWS SCT). AWS SCT helps you automatically convert the source schema and majority of the custom code to a format compatible with Amazon Redshift. AWS SCT clearly marks any code that it cannot convert so that you can manually convert it. Migrate data from the Oracle data warehouse to Amazon Redshift using the AWS Database Migration Service (AWS DMS). With AWS DMS, you can begin the data migration with just a few clicks in the AWS Management Console. The source data warehouse remains fully operational during the migration. Perform post-migration activities such as running SQL queries to validate object types, object count, and number of rows for each table between source and target data warehouses. An AWS Account: You will need an AWS account to set up the sample Amazon RDS Oracle data warehouse and the target Amazon Redshift cluster, and use AWS SCT and AWS DMS. Sign up for AWS. IT Skill level: Basic knowledge of Oracle and SQL is required to successfully complete this project. AWS Experience: Basic knowledge of Amazon Redshift, Amazon RDS, Amazon DMS, AWS Virtual Private Cloud, security groups, and AWS CloudFormation is required to successfully complete this project. Cost to Migrate: Typically, it will cost about $7.85 for a one-time migration of a 10 GB Oracle data warehouse, as illustrated in this sample project. This cost assumes that you are within the AWS Free Tier limits, you follow the recommended configurations, and that you terminate all resources within 2 hours of completing the project. Cost to Maintain: The total cost of maintaining your data warehouse in Amazon Redshift will vary depending on your usage and configuration settings. Using the default configuration recommended in this guide, it will typically cost $45.84 per month if you are within the AWS Free Tier limits. Your use case may require different configurations that can impact your bill. Use the Simple Monthly Calculator to estimate costs tailored for your needs. To see a breakdown of the services used and their associated costs, see Services Used and Costs. Enhance your Amazon Redshift data warehouse by working with industry-leading tools and experts for loading, transforming and visualizing data. See additional information on working with Amazon Redshift, including documentation, best practices, scripts, and tools.